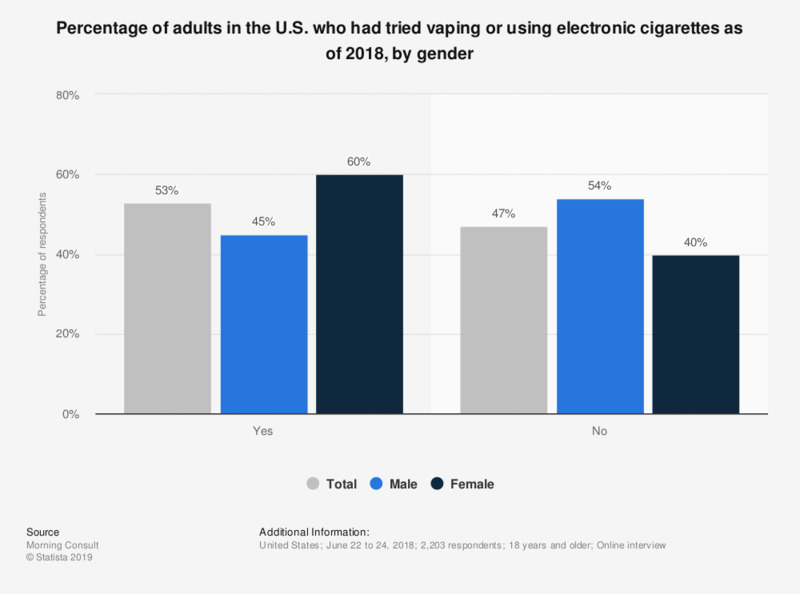 This statistic shows the percentage of adults in the U.S. who had ever tried vaping or using electronic cigarettes as of 2018, by gender. It was found that 60 percent of females had tried vaping or e-cigarettes, compared to 45 percent of males. Original question: "Have you ever tried vaping, or using electronic cigarettes?"